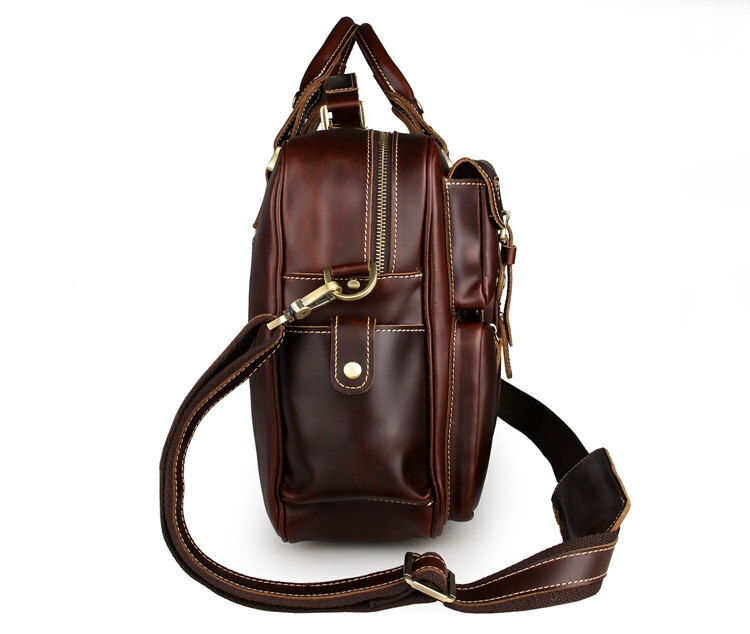 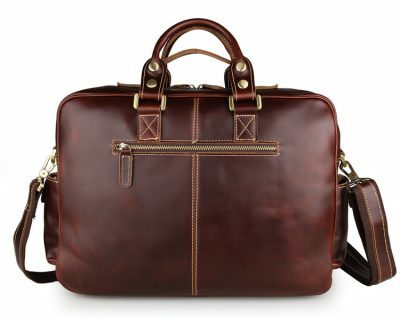 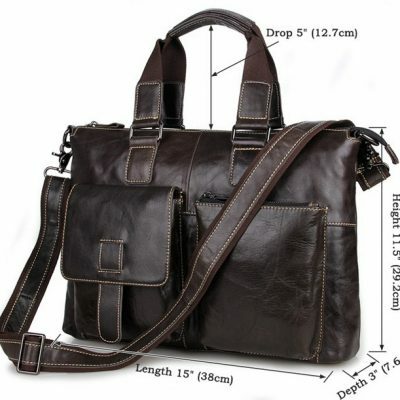 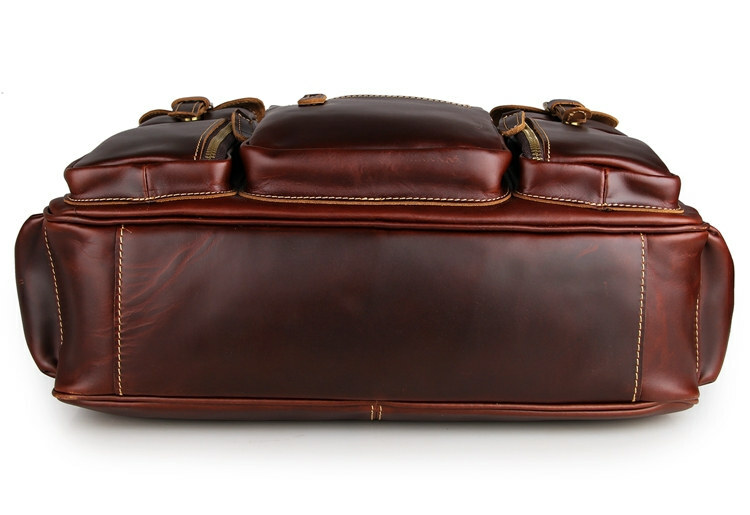 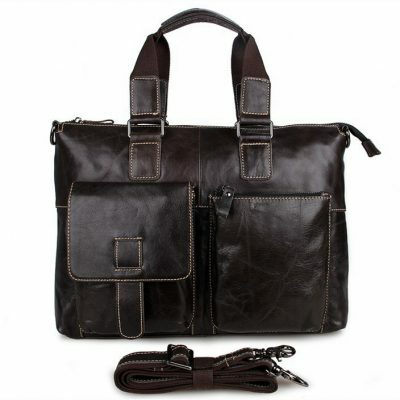 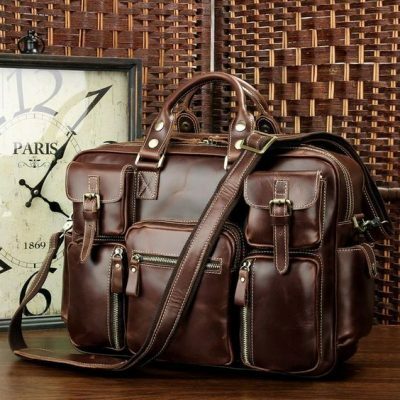 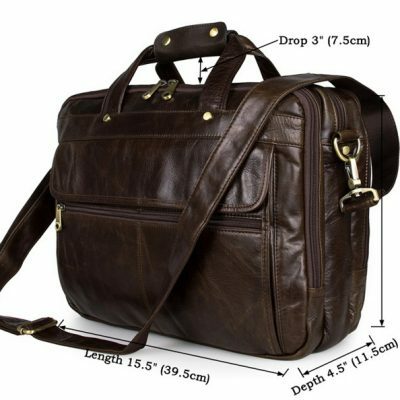 Material: Antique cow leather from Italy; bronze tone hardware; durable cotton fabric lining.
. 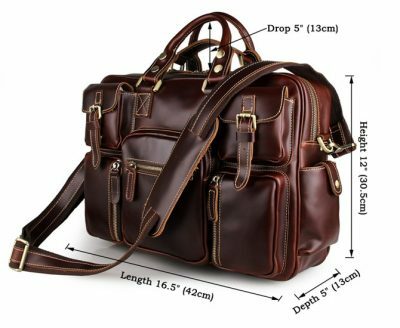 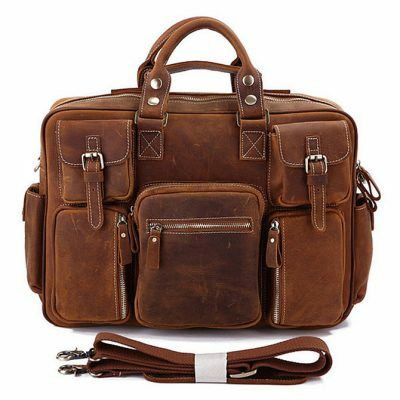 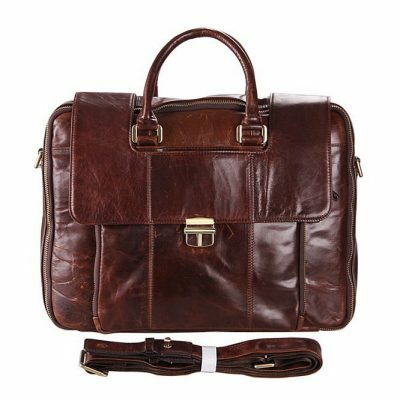 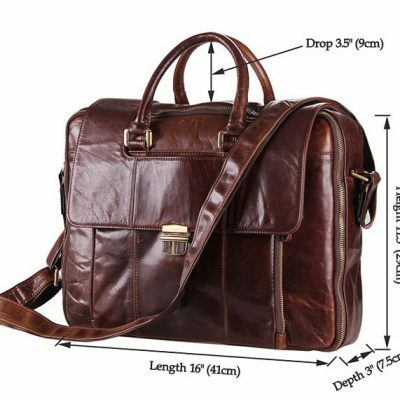 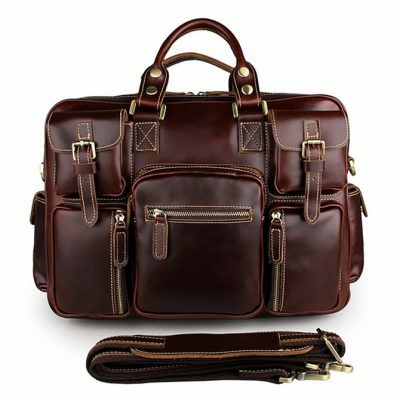 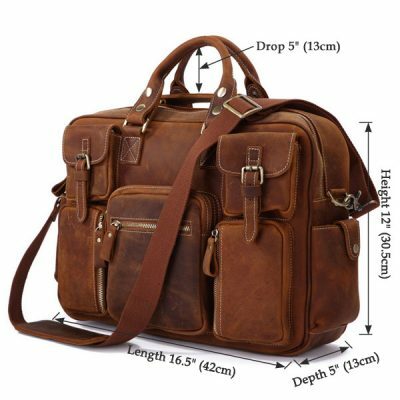 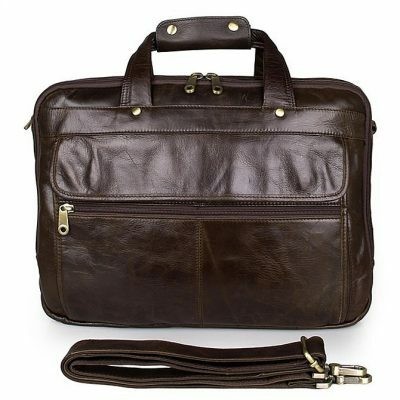 Double handles approximately 5″ inches (13cm) long drop be able to used comfortably, including an extra adjustable long strap, this bag may do four uses: Briefcase, laptop bag, handbag, messenger bag.
. 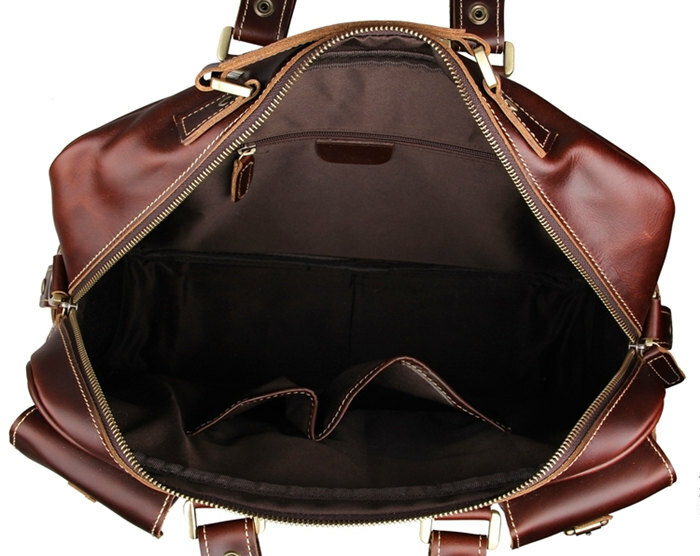 Inside is nicely lined with durable fabric, has a wall zippered pocket and two additional pockets to easily store your wallet and mobile phone.